The RAC hosts regular Night Sky Viewing and Dark Sky Viewing events. 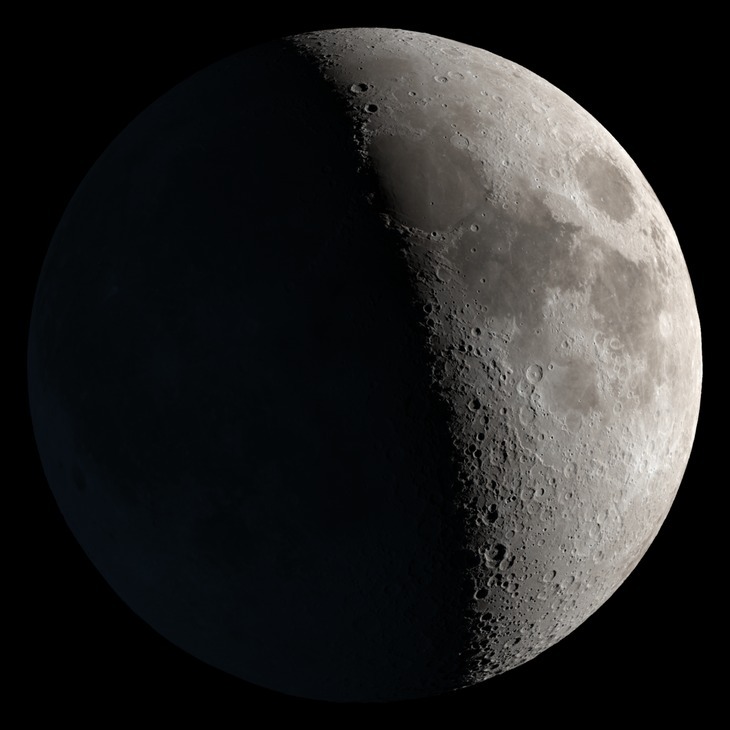 If you are new to astronomy or new to the club, these events may be new for you as well. Knowing what to expect might make the events easier to navigate and more enjoyable. The observing events typically take place in a public location, after dark. Club members set up their own telescopes and club telescopes in “stations”, leaving enough space between each other to not block views and also to allow for group observing at each telescope. Viewing the night sky requires your eyes to adjust to the dark and let in as much light as possible. Because “white” light impacts night vision, the viewing location will be dark. Red lights do not impact night vision, so members will use red light flashlights, lanterns and necklaces to see in the dark and to also avoid collisions. If you drive up to an event, we ask that you turn off your headlights as you approach the viewing location. Even from a distance, car headlights will temporarily set back the night vision of those at the event. The biggest hurdle to overcome with our observing events is that they are dark. Approaching a group of people that you do not know, in darkness, can be uncomfortable and intimidating. To help with this, we typically set up a “welcome table” close to the entrance of the event. This table will have a red lantern and a club member will be there to greet guests and talk about the objects that are visible at that time. On this table, we typically have club information and sign-up sheets so that you can be notified of future events. Often, the “greeter” will walk you to a members telescope and introduce you to them so that your viewing experience starts smoothly. Of course, feel free to just walk around and approach any member on your own. Club members are always eager to share their experiences with you. Typically, the club member will tell you which object they are viewing in their telescope and offer to show it to you. If they do not see you, please ask to take a look. That is what it is all about! One thing to remember is that telescopes are very sensitive and can lose the object in view with the slightest bump or touch. For this reason, when you look through the telescope, try not to touch it or lean on it. Depending on where the object is in the night sky and the type of telescope, you might need to use a step ladder (provided) to look through the eyepiece. Unfortunately, a decent percentage of our observing events get canceled due to weather. Telescopes cannot peer through hazy and cloudy skies. If the cloud cover is thick, the event will probably be canceled. Event cancellations are posted on our website and Facebook page and may be canceled with little notice as the weather changes quickly. 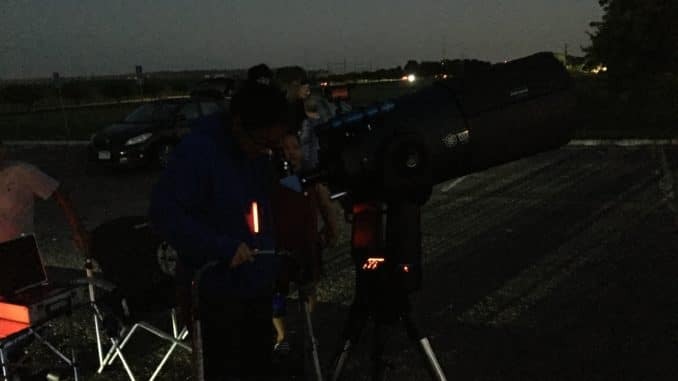 Come Early – If you do not want to show up to your first night sky vieweing event in the dark, you might want to arrive before the event officially starts, get familiar with the layout, and meet some of the members. Some of the members arrive before sundown to get equipment set up, so if you arrive early, you can get to see how telescopes are assembled as well. Clothing – Dress for the weather. Since most of these events take place at night, the temperature can drop after dark. Bring some warm clothing to put on if it should get chilly. We do these events during the winter as well. Cell Phone / Camera – Many of the telescopes are equipped with cell phone adapters so that you can take a picture of what you are viewing in the telescope. Please disable your flash before taking any photos. Setting expectations – People that are new to astronomy, that have not looked through a telescope, are probably only familiar with night sky objects as seen on TV, NASA or other media. These images are in color, highly detailed and breathtaking. Viewing these same objects “live” through an amateur telescope will not be comparable to what something like Hubble can do. However, seeing live objects in a telescope with your own eyes, even if smaller, perhaps blurry and less detailed, is a profound experience.